Melanie Cope, Senior Travel Consultant at our Dorchester travel agents, took a walk on the wild side in Costa Rica. Her tour included stays at some of the best hotels and some chances to spot the local wildlife. Here’s what she thought about her experiences. We flew directly to San Jose with British Airways in Economy Class. We were flying on a Boeing 777 which I found offered ample legroom, however, when the seats were reclined the TVs are very close to you, forcing you to recline also. Our flight departed at 9am so we found it strange they served lunch at 10.45. During the flight, we were offered water and juices every 20 mins or so and halfway through the flight a snack box of crisps, popcorn and Maltesers was handed out. This was followed by another hot meal a while later. The inbound flight was slightly delayed due to missing passengers. Being towards the back of the aircraft meant we were left with no choice of meals for both dinner and breakfast. However, they still insisted on offering both. Breakfast was served just one and a half hours before arrival, which meant it was very rushed. We stayed at four different properties during our trip. Sheraton San Jose - A last minute change as this will be the hotel used in Trafalgar’s 2018 programme. As you would expect, it was a good quality hotel with large rooms that featured two double beds and a lovely bathroom with rainforest shower. The hotel, however, only has a small rooftop pool which was closed for a private party on our arrival. Laguna Lodge, Tortuguero - A unique experience as you can only access this by boat. We were greeted with a cold towel and fruit cocktail. This is a simple hotel with 106 rooms that are clean but basic - no hair dryers and ceiling fans only. However, we had a lovely shared veranda with rocking chairs where you could sit and watch the monkeys, iguanas and macaws. All meals were included –buffet style with a couple of choices at both lunch and dinner. They also offered a juice bar at breakfast and a pasta station at dinner. There are two pools, one for families and the other for adults only. The grounds lead on to the beach, however, it is not safe to swim here. Arenal Paraiso, Arenal - We arrived during a huge downpour but were driven close to our rooms and our luggage was delivered a short time after. The rooms are individual timber lodges with good sized bathrooms, two double beds and a mini fridge. 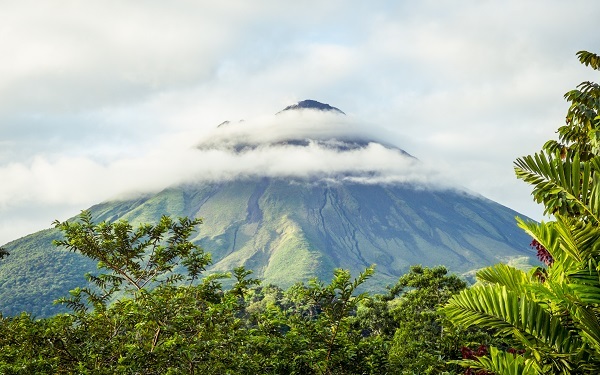 All lodges have a huge sheltered veranda with uninterrupted views of Arenal Volcano. The hotel offers a swimming pool and hot spring pools (two of which were empty during our stay). There is a swim up bar that also offers a few dry seats for those not using the pool. Breakfast was buffet style with a small choice of hot dishes, cereals and fruit. Dinner on our second night was a la carte, which was lovely. Parador, Manuel Antonio - We were greeted on arrival with a cold towel and fruit cocktail. We were allocated a tropical room which was a good size with two double beds, a good sized bathroom, a fridge and a spacious balcony. These rooms are in a small block on three floors. We were on the third floor and so we had a sea view. The hotel has four pools; a good sized family pool with swim-up bar, adult-only pool, one specifically for suite guests and another at the spa. There was a good amount of choice at breakfast, with an added omelette station. We enjoyed both dinners in a private room, one of which was a pizza night and the other was our farewell dinner which consisted of a hot buffet. The hotel also has a walkable nature trail but even without doing this we saw monkeys, lizards and even toucans on the balcony next door to us. As we were on a tour, you do get quite a lot included. During our trip, we only paid for one lunch, one dinner and the odd drink. We had at least one drink included with our meals. 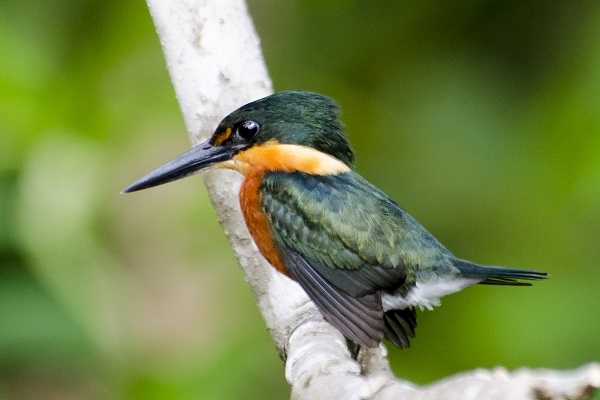 Whilst staying in Tortuguero, we had two river boat excursions included. However, due to the heat, most people opted not to take the second one. We then had the option of an afternoon by the pool or another visit to the local village. Before dinner on the second night, we had a Caribbean food tasting. During the long transfer days, the journey is broken up with lunch and visits to a reptile centre and a heart of palm plantation. 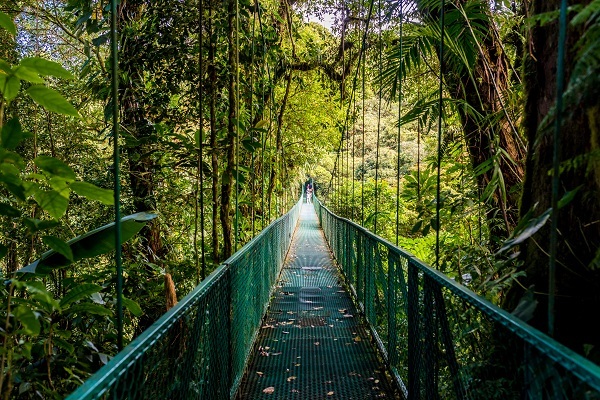 Other activities included were a hike to the base of the volcano, Hanging Bridges Park (tree top canopy walk) and zip lining through the rainforest. Also, we had entrance to Manuel Antonio National Park, where you walk for approximately 20 mins through the rainforest spotting sloths, crabs and monkeys with an hour on the beach at the end to enjoy a dip in the Pacific. Zip lining, without question, was my favourite part of the trip. I was nervous before we started but it was fantastic. There was a series of 10 zip lines with varying degrees of speed and height, with the option of going upside down on one of them. Yes, I did manage to do that one! I am not sure you could improve upon this tour, it was very well organised and the Tour Director worked hard to ensure it all ran smoothly. However, it is worth bearing in mind the travelling days are long with you leaving the hotel between 7-7.30am and not arriving at your next hotel until around 5pm. I would recommend Trafalgar for certain clients, particularly single travellers. It is a great way to meet new people and experience a country first hand. Our tour director was incredibly knowledgeable and I felt we learnt so much about Costa Rica during our trip on top of the places we visited. This particular tour is aimed at families, but anyone travelling with small children should be aware of the travelling distances involved. The coach provided was very comfortable with air conditioning, toilet and water dispenser. There were reclining seats which provided USB charging points in the armrests and Wi-Fi was also available on board. This was patchy depending on your location and how many people were using it. If you would like to book an adventure holiday to Costa Rica or anywhere else in the world, we would love to help you plan your trip. Visit our travel agents in Bournemouth, Westbourne, Christchurch, Dorchester, Lymington and around East Anglia to speak to our friendly team.